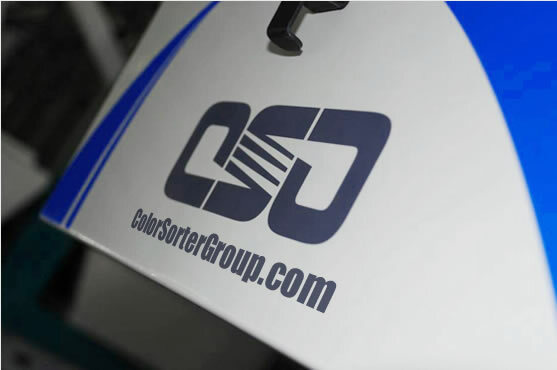 What is color sorter machine? Color Sorter also named color sorting machine or optical sorting machine, it is according to the color differences of solid materials, using high-resolution CCD optical sensor to drive solenoid valve to sorting different solid materials. 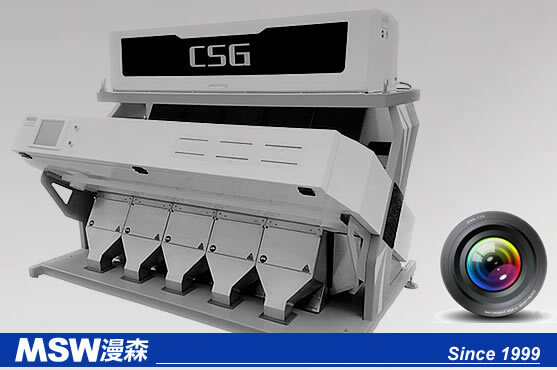 CSG Optical Color Sorter is a non-destructive sorting equipment for the quality inspection and grading of bulk materials, has been widely used in many industry in the world. Such as agricultural products, food and recycling industries. 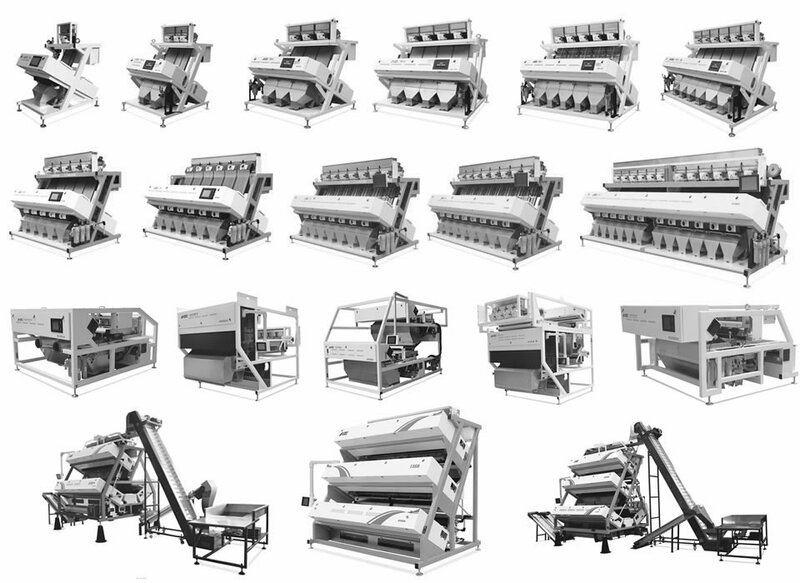 sorting effects are very significant for such as plastic sheets, plastic particles, corn, various kinds of beans, various kinds of rice, ore, pepper, pepper, garlic, melon seeds, raisins, seeds, Chinese medicine, shrimp, clove fish, glass, metal, salt and ore etc. How does color sorter machine work? The color sorter is a device that uses the photoelectric detection technology to automatically sort out the different-colored particles in the granular material according to the difference in the optical properties of the material. The color sorter mainly consists of a feeding system, an optical detection system, a signal processing system, and a separation execution system. The throughput is the amount of material that can be processed per hour. The factors affecting the amount of processing per unit time are mainly the speed of the servo system, the maximum speed of the conveyor belt, and the purity of the raw materials. The speed of the servo system is fast, and the actuator can be quickly sent to the corresponding position of the impurity, which can increase the speed of the conveyor belt and increase the processing capacity. On the contrary, the speed of the conveyor belt must be reduced. The amount of processing per unit time is proportional to the speed of the conveyor belt. The faster the conveyor belt speed, the greater the output. The amount of processing per unit time is also related to the ratio of impurities contained in the raw material. If there are few impurities, the longer the interval between the two impurities, the longer the response time for the servo system and the speed of the conveyor belt can be increased. At the same time, the amount of processing per unit time is closely related to the required accuracy of the selection. The accuracy of color selection refers to the percentage of impurities selected from raw materials in the total amount of impurities contained. The accuracy of color sorting is mainly related to the moving speed of the conveyor belt and the purity of the raw materials. The slower the conveyor belt movement speed is, the longer the time between adjacent impurities is, and the servo system has enough time to reject impurities and improve the accuracy of color sorting. The higher the initial purity of the same raw materials, the less the amount of impurities, and the higher the color selection accuracy. At the same time, the color selection accuracy is also limited by the design of the servo system itself. When there are two or more impurities in the same frame image, only one impurity can be removed, the color selection accuracy is reduced, and the selection structure is better than the single selection structure. The Carry over ratio refers to the ratio of the amount of impurities in the waste selected by the color sorter to the normal amount of material. The ratio of the output ratio can be adjusted, and the adjustment of the output ratio is mainly achieved by adjusting the energizing time of the actuator. If the take-out ratio is set too high, it will affect the two indicators of the selection rate and the processing capacity; if the setting is too low, the normal material contained in the selected waste will be too much; if it is reprocessed, it needs to be invested. A certain amount of manpower and material resources will cause a lot of trouble and economic losses. In the actual production process, the processing volume, color selection accuracy, and out-taking are all one of these three indicators and are all key indicators and must be examined at the same time.